At the end of Sunday school every week, our children gather with our music and worship leader, to learn praise songs and prepare to sing in worship. 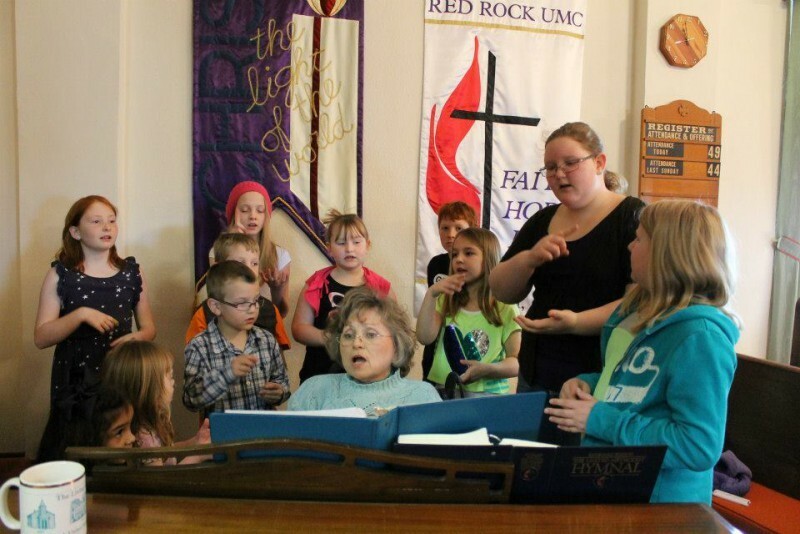 Children sing weekly during our Sunday worship service. Children's Choir Rehearsal begins at 10:40AM.